During his successful campaign for governor, J.B. Pritzker revealed little about his tax and spending plans. Now that he's won, slogans parading as a campaign platform won't do anymore. BGA President David Greising writes a regular column for Crain's Chicago Business. For J.B. Pritzker, now comes the hard part. Pritzker was elected governor, with a strong rebuff from voters to Gov. Bruce Rauner. As a first-time elected official, Rauner never got to implement his "turnaround agenda," because the deal guy's inability to cut a deal left him isolated politically and ineffective in the end. Now we have another first-timer, as Pritzker made obvious in his over-the-top victory remarks Nov. 6. And as he made clear, the state also now has another governor who will bring his party's wish list to the state capital with him. During the campaign, Pritzker laid out a promissory hit parade that included increased funding for public schools, expanded early childhood education, larger tax breaks for lower-income people and reduced property taxes for homeowners. And, of course, his biggest promise of all: a progressive income tax designed to increase taxes on the wealthy and, presumably, reduce the amount paid by those with lesser income. The word "presumably" is in that last sentence because no one knows exactly what Pritzker has in mind. He wouldn't say while on the campaign trail. He would need to work out details with the Legislature, he said, and it's a measure of Rauner's ineffectiveness in the campaign that he was unable to force Pritzker to get more specific about the signature campaign promise of the 2018 gubernatorial contest. Now Pritzker will have a choice to make. He can begin fixing the state's deep fiscal problems immediately, which will require moves that might make his supporters unhappy at first. Or, if he decides to cling to his current popularity, he can put off the short-term pain—and wind up dealing with deeper and more prolonged discomfort later in his term. There is no time for delay. The current state budget includes a new school funding formula that will require an estimated $350 million in new revenue this fiscal year. Pension obligations, other retirement benefits and a growing pile of debt are expected to add $1.3 billion in required payments during the current fiscal year, which ends June 30. Those structural obligations altogether are expected to eat up about 30 percent of the state's revenue, according to a calculation by Moody's Investors Service. And, of course, there is that pile of unpaid bills, to the tune of around $7 billion lately, down from a high of $16.7 billion a year ago. To meet those needs, Pritzker likely will need to hike the personal state income tax above its current 4.95 percent rate. He has promised to ease the blow with the increased exemptions, but there are only so many allowances he can offer and still address the pension shortfall and pay the state's bills. Pritzker can't afford to delay the payments, as predecessors have. To do so would rattle credit markets and put Illinois back at risk of downgrades from Moody's and other rating agencies. The credit markets will be watching Pritzker closely. His progressive tax proposal appeals to them because it is expected to raise revenue. But bond investors and budget hawks will be watching to see how he plans to use the extra revenue: to help fix the state's worst-in-the-nation pension problems, or to fund new social programs and keep putting off the day of reckoning. 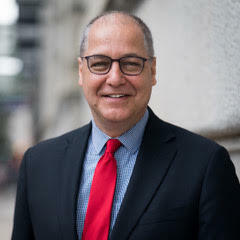 Ted Hampton, a senior credit officer at Moody's, says Pritzker could help himself by increasing the state's pension contributions early in his term. "If you do that in the near term, then in later years the numbers tend to look much more favorable," he says. But the campaign revealed little about whether such fiscal discipline will be a Pritzker priority. While campaigning, he said the state's current pension obligations must be met, and observers like Hampton read such statements as an indication the new governor won't pursue some of the structural fixes that have been discussed in recent years. Part of the problem with Pritzker, Hampton says, is that the campaign revealed little about what he plans: "There is a lot of risk in a Pritzker administration's unknown aspects." Risks arise from unknown factors. Now that Pritzker is elected, slogans parading as a campaign platform won't do anymore. The state needs answers—the sooner the better.